Comtrend introduces its new AC2100 gateway with the latest VDSL2 technologies to provide a truly enhanced Internet experience. Comtrend, a leading designer and manufacturer of broadband communication equipment, announced today its latest VDSL2 bonding gateway, the NexusLink 3120ua. The NexusLink 3120ua supports the latest VDSL2 standards to deliver drastically improved performance and allow service providers to offer more competitive Internet speeds in FTTN, or last-mile copper deployments. Comtrend Vice President of Technology, Kuma Lin, explains, “The NexusLink 3120ua was designed with the very latest technologies available, offering service providers a way to keep up with the increasing demand for more bandwidth. With implemented technologies such as G.inp and G.vector, the NexusLink 3120ua is able to counteract or mitigate crosstalk and impulse noise resulting in greater throughput.” The NexusLink 3120ua also features bonding (up to 17a profile) to provide twice the downstream/ upstream bandwidth over comparable single-line models. Furthermore, the NexusLink 3120ua delivers the latest 802.11ac 5GHz technology with 4×4 multi-user MIMO (MU-MIMO) and dynamic beamforming. For maximum coverage and performance, the NexusLink 3120ua supports high-power, simultaneous dual-band 2×2 MIMO at 2.4GHz and 4×4 MU-MIMO at 5GHz. Boasting an impressive 2100Mbps (802.11ac 1733Mbps; 802.11n 300Mbps), consumers can take advantage of the latest high-bandwidth applications and services such as streaming of HD and UHD IPTV, access to cloud-based resources, and online gaming. The NexusLink 3120ua is also equipped with five gigabit ports to deliver the fastest wired connections and a USB 3.0 port for home networking with other Ethernet and WiFi applications. The NexusLink 3120ua carries additional value in its flexibility of deployments (xDSL, Fiber, Ethernet). 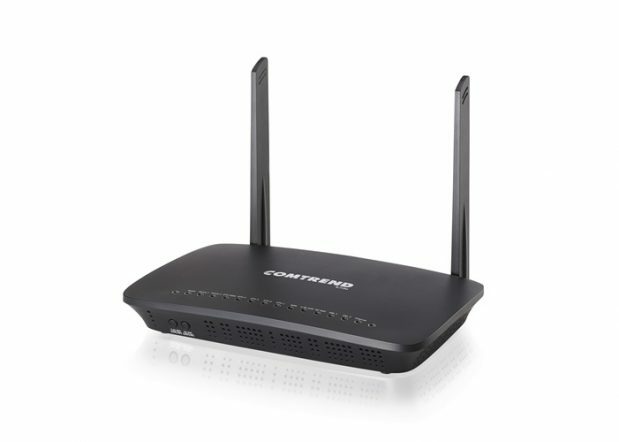 It supports ADSL2+ fallback and has a dedicated Gigabit Flexport. Whether via DSL over copper, or its gigabit WAN port via fiber or cable, it can be the primary gateway for any service provider deployment type. It also offers TR-069 for remote management support. Comtrend’s NexusLink 3120ua provides an enhanced Internet experience through its latest features including G.inp, G.vector, bonding (up to profile 17a), and high-power carrier class wireless. These features combined with its flexibility of deployment and ADSL2+ fallback, make the NexusLink 3120ua the ideal choice for delivering consumers a truly exceptional Internet experience. For pricing and availability of the NexusLink 3120ua please speak to your sales representative or email NA.Sales(AT)comtrend.com.